Bluugo’s Tracking Cloud™ with Machine Learning solution wins an Innovation Award at the Pride of Ground Handling Awards. Bluugo is specialized in offering innovative digital solutions with our unique Tracking Cloud™ platform, combining IoT technology with Machine Learning. Finding unique approaches to gain an edge in highly competitive environments is a challenge many companies are dealing with. We work together with our customers to find solutions that can be implemented at a fast pace and that truly benefit their operations. There is huge potential for utilizing Machine Learning and visualization in our daily operations. Bluugo has helped us to reach our goals.- Tomi Viitanen, CEO, Swissport Finland Our solution for Swissport Finland, utilizing Machine Learning, has gained recognition and we are already seeing measurable evidence that the tool improves ground handling services at the airport, resulting in a better experience for passengers, and more efficient operations for service providers. The solution combines IoT technology with Machine Learning moving flight prediction from a 100% human activity, to one that is 30% human, and 70% machine. There is almost limitless potential for the combined power of the IoT and Machine Learning to increase the efficiency of operations in any field. Machine Learning is no longer the future, it is now the present, and our solutions can quickly help your business to take advantage of it and achieve a real competitive edge. We help you with every step of digitalization. We offer a ready-to-run and easy-to-use solution that will allow you to get results in a matter of weeks. We can also utilize the existing technology you already have and easily connect our platform to your backend systems and data sources. Tracking Cloud™ is a pay-as-you-go cloud service that helps you increase efficiency and gain competitive advantage. Our operating model and solutions are unique, and the results have been amazing. As our customer's CDO put it, "We do not want to be the biggest but the best. Bluugo's Tracking Cloud supports this perfectly. " We offer you a unique Tracking Cloud™ platform which packs your products and services to digital format. The solution can be tailored according to your needs or run off the shelf - the choice is yours. We combine the latest technology, hardware and software to a service package that will enable you to achieve a significant and sustainable competitive edge - at a fast pace. We are the pioneers in utilizing IoT/RFID technologies as well as Machine Learning & AI, so you can trust us to put your ideas into practice. DIFFERENTIATE your products & services. We will build a unique "digital shell" around your products and services. Tracking Cloud™ platform adapts to your needs, so your competitors will never have an identical approach. OUTPERFORM your competitors with streamlined services. With Tracking Cloud™ you can improve your operations through machine learning. You are able to predict and optimize in real time. TRANSFORM your Revenue streams from one time transactions to recurring revenues and “as-a-service”. This will improve the predictability of your business. You can also complement your products with e.g. maintenance services. ENGAGE your customers. Tracking Cloud™ helps your customers to make better use of your services. You can connect all stakeholders such as subcontractors, partners and customers to the same network. Click on the icons below to see how you can use our Tracking Cloud. Our Tracking Cloud™ is the fastest and easiest way to digitize your supply chain, you're ready-to-run in a matter of weeks. Engage your customers, manufacturers and other stakeholders. You can collect accurate metrics, predict and optimize as never before. Tracking Cloud for Intelligent Supply Chain includes all building blocks for streamlining your logistics operations. IoT forms the basis for an intelligent supply chain. Bluugo can provide all the necessary hardware, sensors and technology as part of the service or we can utilize existing technology you already have. Our solution allows you to collect timestamps, location and environmental data like moisture, temperature & acceleration. Information gathered in this way can be used for machine learning. These powerful tools give the opportunity to really transform and streamline your supply chain: predict, turn reactive actions to proactive, optimize and create scenarios based on reliable data to support decision making. Use all available factors like weather, traffic & delays with our intelligent algorithms to streamline your processes end to end. With our intelligent geofencing, you can monitor your operations, collect timestamps and process transactions automatically with “zero touch”. With versatile visualization you can immediately identify bottlenecks in your transaction processing. These are just a few examples of how your business can benefit from Tracking Cloud Intelligent Supply Chain solution. With fresh and creative thinking, we have succeeded in providing our customers with innovative and powerful tools to enhance their operations. We will help you to get tangible results quickly but we will also assist you in implementing a long-term digital strategy! Our Tracking Cloud is the fastest and easiest way to digitize your VMI processes, you're ready-to-run in a matter of weeks. Engage your customers, manufacturers and other stakeholders. You can collect accurate metrics, predict and optimize as never before. Tracking Cloud for Intelligent VMI includes all building blocks for streamlining your logistics operations, including consignment stocks. IoT forms the basis for an intelligent VMI. Bluugo can provide all the necessary hardware, sensors and technology as part of the service or we can utilize existing technology you already have. Our solution allows you to collect RFID, scale and rack information and location. Information gathered in this way can be used for machine learning. These powerful tools give the opportunity to really transform and streamline your VMI: predict, turn reactive actions to proactive, optimize and create scenarios based on reliable data to support decision making. Use all available factors like stock levels, lead times & replenishment quantities with our intelligent algorithms to streamline your processes end to end. These are just a few examples of how your business can benefit from Tracking Cloud VMI solution. With fresh and creative thinking, we have succeeded in providing our customers with innovative and powerful tools to enhance their operations. We will help you to get tangible results quickly but we will also assist you in implementing a long-term digital strategy! Our Tracking Cloud™ is the fastest and easiest way to digitize your products and equipment, you're ready-to-run in a matter of weeks. Engage your customers, manufacturers and other stakeholders. You can collect accurate metrics, predict and optimize as never before. Tracking Cloud for Intelligent Tracking includes all building blocks for streamlining your logistics operations. IoT forms the basis for an intelligent equipment. Bluugo can provide all the necessary hardware, sensors and technology as part of the service or we can utilize existing technology you already have. Our solution allows you to collect timestamps, location and environmental data like moisture, temperature & acceleration. Information gathered in this way can be used for machine learning. These powerful tools give the opportunity to really transform and streamline your products and equipment: predict, turn reactive actions to proactive, optimize and create scenarios based on reliable data to support decision making. Use all available factors like weather, traffic & delays with our intelligent algorithms to streamline your processes end to end. These are just a few examples of how your business can benefit from Tracking Cloud Intelligent Tracking solution. With fresh and creative thinking, we have succeeded in providing our customers with innovative and powerful tools to enhance their operations. We will help you to get tangible results quickly but we will also assist you in implementing a long-term digital strategy! Our Tracking Cloud™ is the fastest and easiest way to create unique competitive edge to your assets, products and service operations. You are ready-to-run in a matter of weeks. Engage your customers, subcontractors and other stakeholders. You can collect accurate metrics, predict and optimize as never before. Tracking Cloud for Intelligent Assets & Service includes all building blocks for streamlining your service operations and providing “digital shell” to your products. Tracking Cloud includes all features for Field Service and Plant Maintenance. IoT forms the basis for an intelligent assets and equipment. Bluugo can provide all the necessary hardware, sensors and technology as part of the service or we can utilize existing technology you already have. Our solution allows you to collect timestamps, service and real time equipment data. Information gathered in this way can be used for machine learning. These powerful tools give the opportunity to really transform and streamline your operations: predict, turn reactive actions to proactive, optimize and create scenarios based on reliable data to support decision making. Use all available factors with our intelligent algorithms to streamline your processes end to end. With our solution you can monitor your operations in real time. Modern mobile tools with offline capabilities, maps and push notifications guarantee seamless information flow from customer inquiries to invoicing. Map tools help you to optimize service task force and with optional machine learning toolset you can predict and organize tasks efficiently. Customer self service enables easy-to-use channel for service requests. All this can be complemented with “single touch” digital information sharing powered by NFC technology. Providing digital add-on services to your customers has never been easier. These are just a few examples of how your business can benefit from Tracking Cloud solution. With fresh and creative thinking, we have succeeded in providing our customers with innovative and powerful tools to enhance their operations. We will help you to get tangible results quickly but we will also assist you in implementing a long-term digital strategy! Our Tracking Cloud™ is the fastest and easiest way to collect IoT data from connected devices and combine & enrich it from the existing data sources. You're ready-to-run in a matter of weeks. Engage your customers, employees and other stakeholders. You can collect accurate metrics, predict and optimize as never before. Tracking Cloud contains all the necessary interfaces and APIs for connecting various IoT devices. Managed IoT solution complements well other Tracking Cloud solution areas where real-time data collection is needed or where products and services depend on high volume data inputs. Bluugo can provide all the necessary hardware, sensors and technology as part of the service or we can utilize existing technology you already have. Our solution allows you to collect timestamps, location and environmental data, you can connect equipment, RFID-readers, dataloggers, scale systems etc. The information collected in this way can be seamlessly integrated with other business data, thus providing a solid foundation for digitalization and machine learning. These powerful tools give the opportunity to really transform and streamline your business: predict, turn reactive actions to proactive, optimize and create scenarios based on reliable data to support decision making. Use all available factors like weather, traffic & delays with our intelligent algorithms to streamline your processes end to end. Bluugo has helped dozens of companies streamline their business processes and gain competitive advantage using our Tracking Cloud™ platform. Our customers range from Finnish SME's to global listed companies – we tailor our solutions to meet the personal needs of each company individually. Below, you can read more about some of our success stories. Swissport International Ltd is the largest provider of airport ground services in the world with activity in over 300 locations and 50 countries all around the globe. Swissport Finland Oy started its operations in 2011 and currently has over 1000 employees in the Helsinki-Vantaa Airport, handling approximately 42 000 tonnes of air cargo annually. 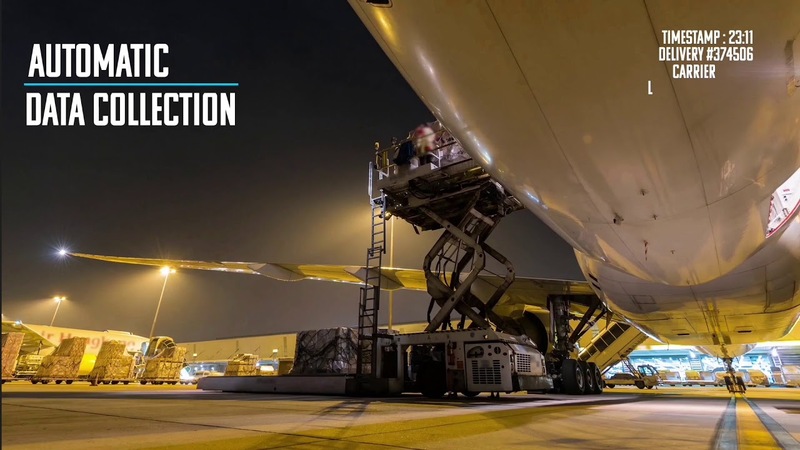 Bluugo’s Tracking Cloud™ -platform connects Swissport’s business processes under one digital shell. Using RFID-sensors and the latest IoT-technology, Tracking Cloud™ gathers real-time data from different sources such as vehicle movements, departure times of flights and weather conditions. This data can be used in many ways to improve business processes. A good example of this is the Tracking Cloud™ Flight Delay Prediction Tool. Utilizing Machine Learning and a variety of data sources connected to Tracking Cloud™, this innovative solution predicts the arrival times of flights with improved precision much earlier than before. As a result, Swissport can now plan their processes more efficiently and make sure that the right personnel & equipment is in the right place at the right time. This improves the whole ground handling process, which greatly benefit Swissport, the airline companies and the flight passengers also. “Our cooperation with Bluugo has been very successful and we’re on quite a digitalization journey together. Before we started to work with Bluugo, our business was at a point where we had to either increase the amount of working hours or find new, more efficient methods – the old way of doing things just wasn’t sufficient anymore. We started to look for a solution, focusing mainly on the business side of things while the required technologies were chosen as the project advanced. Tracking Cloud™ has lived up to our expectations and we see huge potential in developing it even further. Right now, we’re thinking of how this solution could change our whole product range and through that, our entire business. The question is not so much if, but when this will happen. Bufab is an international trading company that offers its customers a full-service solution as Supply Chain Partner for sourcing, quality control and logistics for C-Parts. The company runs operations in 27 countries with more than 1 200 employees – net sales for the past 12 months amounted to 410 million USD. Bufab is listed on Nasdaq Stockholm. Vendor Managed Inventory (VMI) with C-Parts services is dependent on big business and large volumes. In order to be effective and cost-efficient, customer stock has to be replenished frequently and in bulk. Operations need to be built on trust and transparency – all stakeholders have to be able to work together to accurately determine forecasts for demand in the long and the short term. To run C-Part supply chain operations smoothly and just-in-time manner, we need to use state of the art technologies and solutions – this is where Bluugo and our Tracking Cloud™ platform comes in the picture. Combining Tracking Cloud’s™ cutting-edge IoT-, RFID- & NFC-technologies and the modifiable, customer-grade interface, Bufab has launched a new cloud service called EasyTrack™. The service runs on the Tracking Cloud™ platform and connects to a variety of on-site solutions which gather data from different C-part processes to provide companies with a transparent, real-time overview of their racks, bins, refilling, orders, drawings and more. C-parts has never been smoother!